I first read about Domina Magica through ConTessa when DM’s (ha!) creator, Emily Reinhart, did some public playtesting of the system through them at Gen Con. The game’s anime-Magical-Girl-brought-to-tabletop put a smile on my face. The addition of slap bracelets, and its hundreds of backers (so far) is keeping that smile firmly in place. 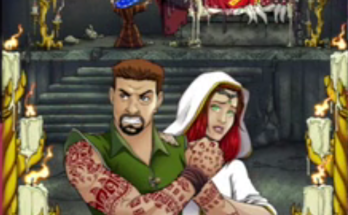 Emily agreed to answer my questions about this amazing looking RPG and slap bracelets! Let’s get into it! EGG EMBRY – Thanks for answering these questions. For the initiated, what is Domina Magica? 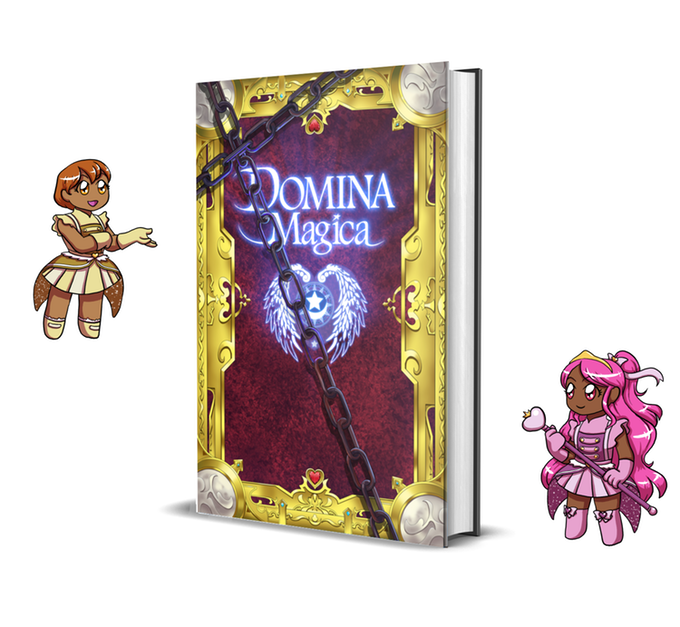 EMILY REINHART – Domina Magica is a tabletop roleplaying game that is designed to emulate an episode of a Magical Girl anime such as Sailor Moon or Cardcaptor Sakura! EGG – What are some of the unique features of the game? EMILY REINHART – We have designed the game with some pretty awesome mechanics such as the double-sided character sheet and the cootie catcher. 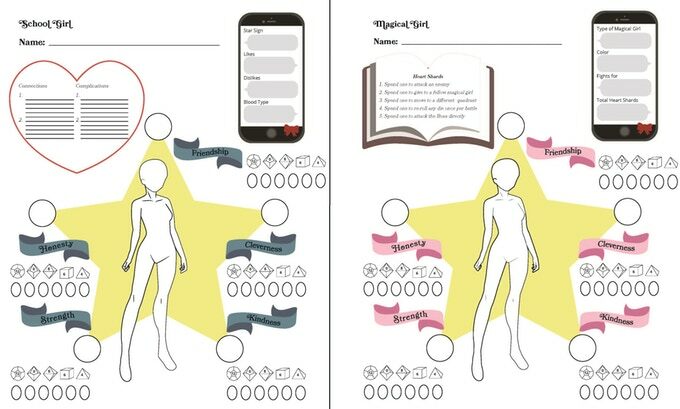 The double-sided character sheet allows you to first build your school girl, and when you transform you get to physically flip the sheet over and build your Magical Girl!! The team will build a “cootie catcher” or “fortune teller” that helps set the scene and tone for your unique “episode” as well as introduces some surprise elements at the Big Boss Battle!! EGG – In your system, what aspects of it make it right for the Magical Girl sub-genre? EMILY REINHART – I tried to emulate a lot of what I felt watching MG animes growing up. I wanted a game that you can shout out your ridiculous attack and lets you describe your amazing transformation sequence with all the glitter, space silhouette, and rainbows as you want, and Domina Magica does that! EGG – What’s the age range of Domina Magica? EMILY REINHART – So far I have played with adults and children as young as 6 and 7!!!! EGG – Domina Magica has done fantastic numbers and there’s still time to go on the campaign. You’re expecting to deliver this game in March 2019, how far into development are you? 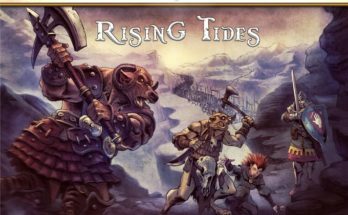 EMILY REINHART – It is has been in playtest for two years and after countless sessions, the rules and core mechanics are fully developed and at this point, we just have to flesh out the text of the book. 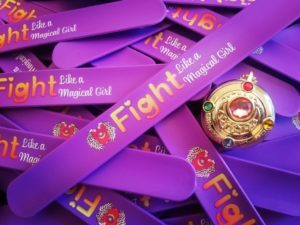 EGG – You’re all but giving away “FIGHT LIKE A MAGICAL GIRL” slap bracelets. Let’s start with the fun question – Why slap bracelets? EMILY REINHART – It came to us in a dream at 4.a.m!! In actuality, we thought business cards were too boring and I wanted something really fun to give people to remember me by and my partner and I thought up slap bracelets and how perfect they fit with the whole Sailor Moon 90’s feel!! EGG – You have a US backers only $1 pledge level – Classmate – that provides a slap bracelet shipped. Between the bracelet, envelope, stamps, and walking it to the mailbox, is that pledge level a net gain for the project? EMILY REINHART – Well this is my first Kickstarter and I just felt that it was unfair to people that backed for a 1$, that they didn’t get anything. I wanted my KS to stand out and really feel special, so even though it cost the Third Act team some unwanted stress lines we all agreed that this would be a fun, emotionally rewarding experiment. EGG – I’ll bet! They look great! 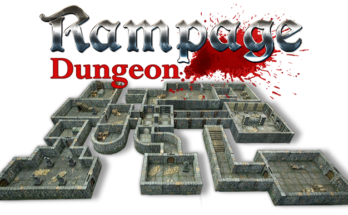 Onto something lighter – What was your first tabletop RPG? EMILY REINHART – Aberrant by White Wolf. EGG – You’re part-owner of Third Act Publishing, why did you decide to become a publisher over focusing exclusively on game design? EMILY REINHART – We wanted to help other people get their games off the ground and make dreams into tangible realities!! It was so much fun seeing our ideas come to life and get shipped throughout the world that I really wanted to help bring that feeling to other designers! EGG – For a Magical Girl who is not a gamer, how would you introduce the game? EMILY REINHART – I have run that game!! I had a group of women who were Magical Girl enthusiasts but have not had any experience in RPGs! I explained everything as if it were their own episode of Sailor Moon, I stuck to the classic troupes that you see in the anime and avoided getting too bogged down with the mechanics! This game is designed for a lighthearted one-shot and the aspects really go hand in hand with the same aspects you see in a Magical Girl anime so it really is for everyone!! EGG – For fans interested in supporting Domina Magica and following Third Act Publishing, where could they learn more about you? EMILY REINHART – My twitter handle is @kickassemily Domina Magica is live on Kickstarter. Next Article Last “role” for the session, now onto Creatives!